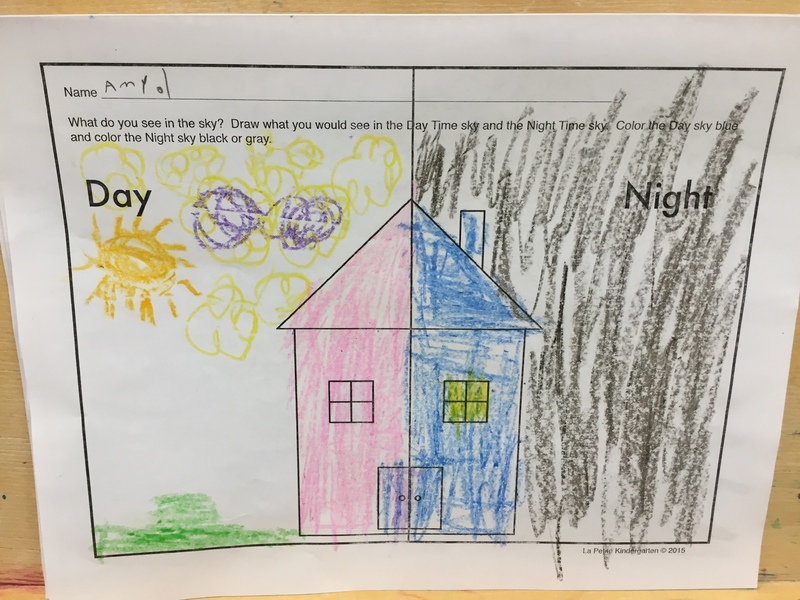 What is it like in the day or night? 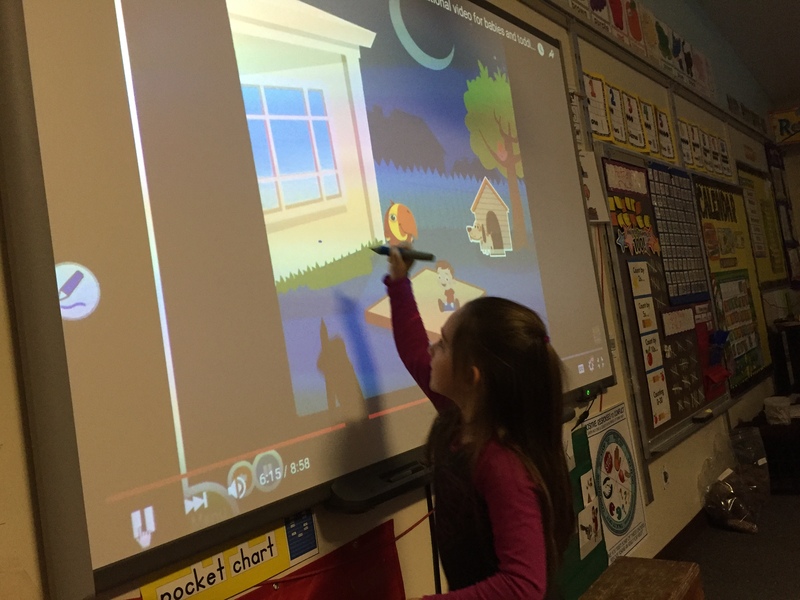 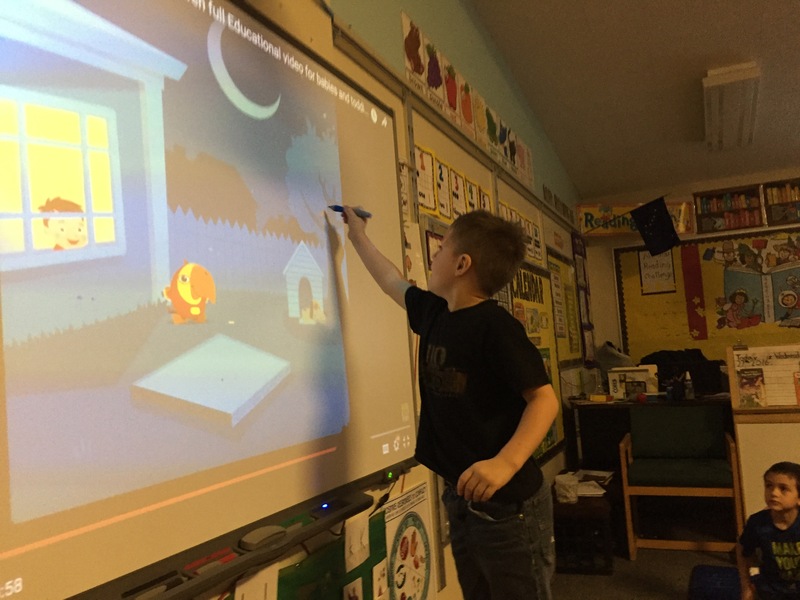 We watched a day and night educational video on youtube. 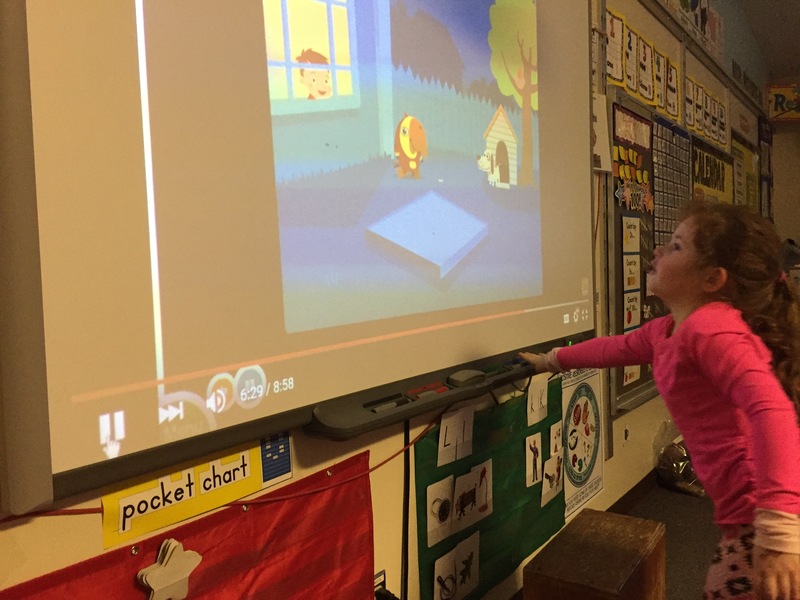 Then we played some related games that show what happens when day turns into night and night turns into day. 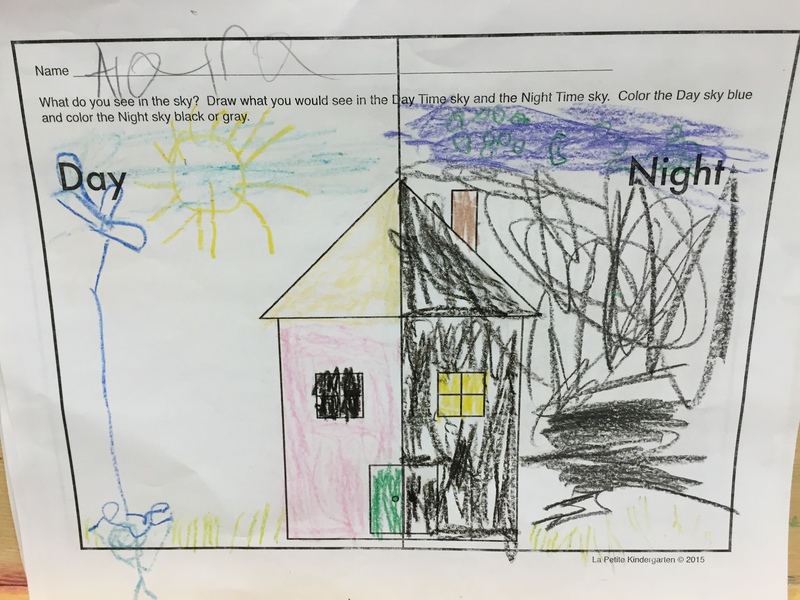 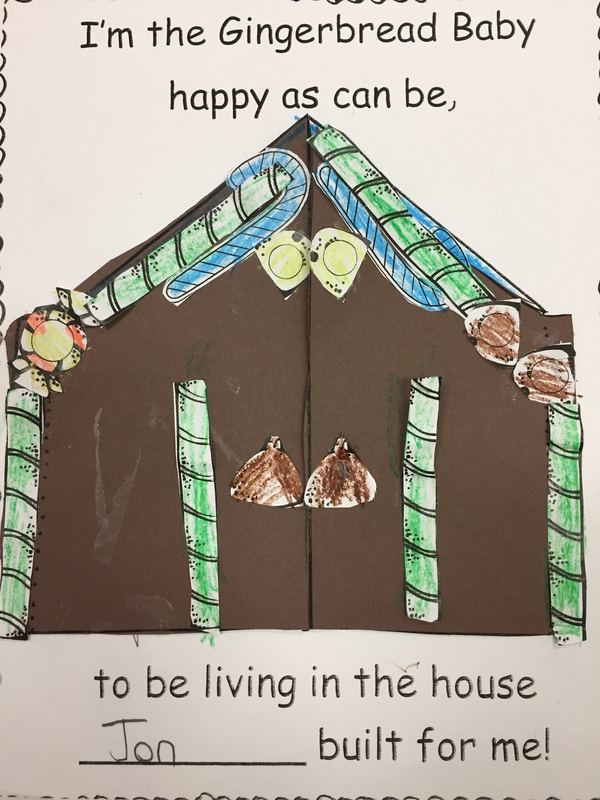 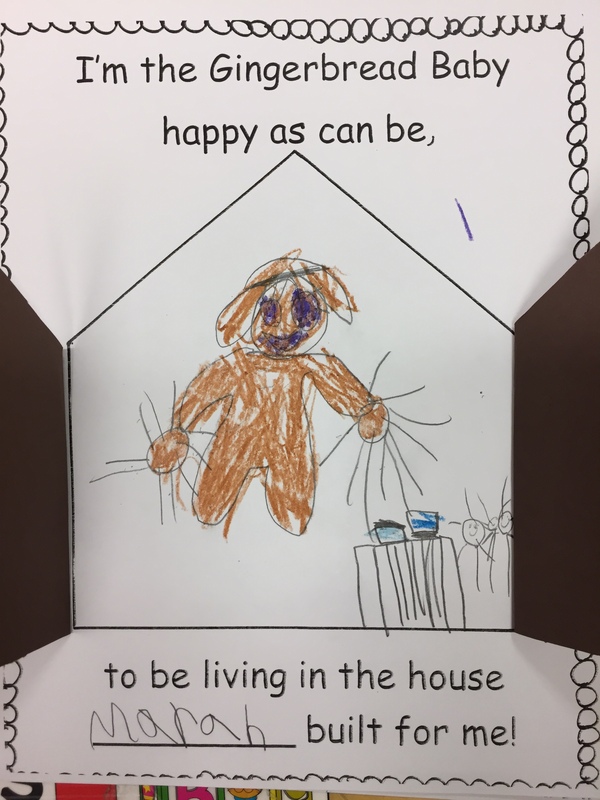 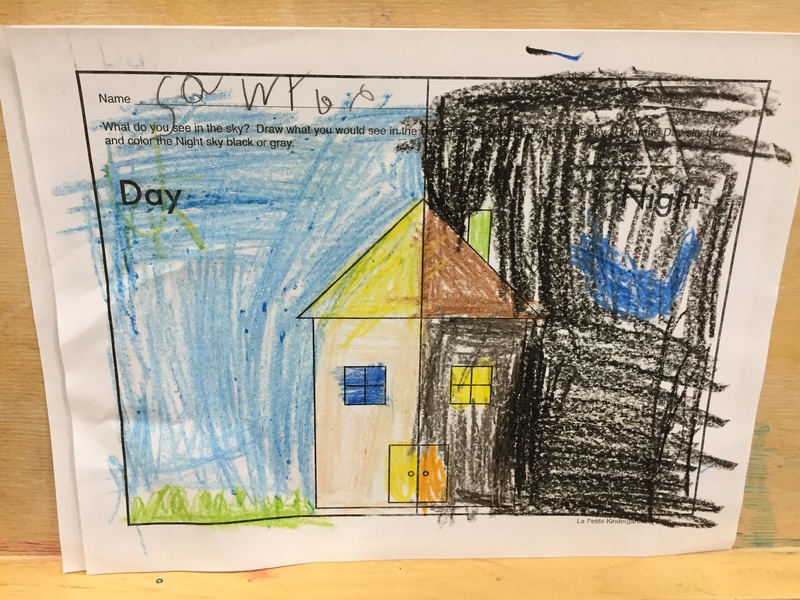 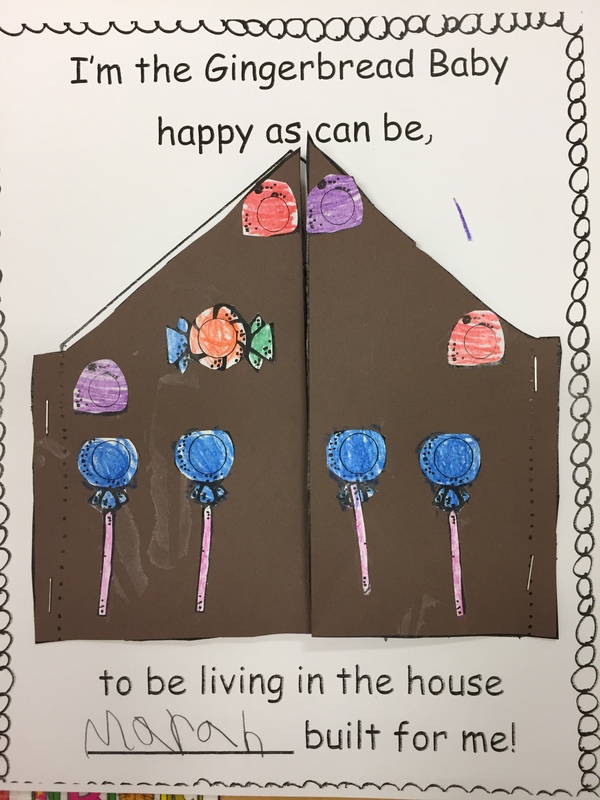 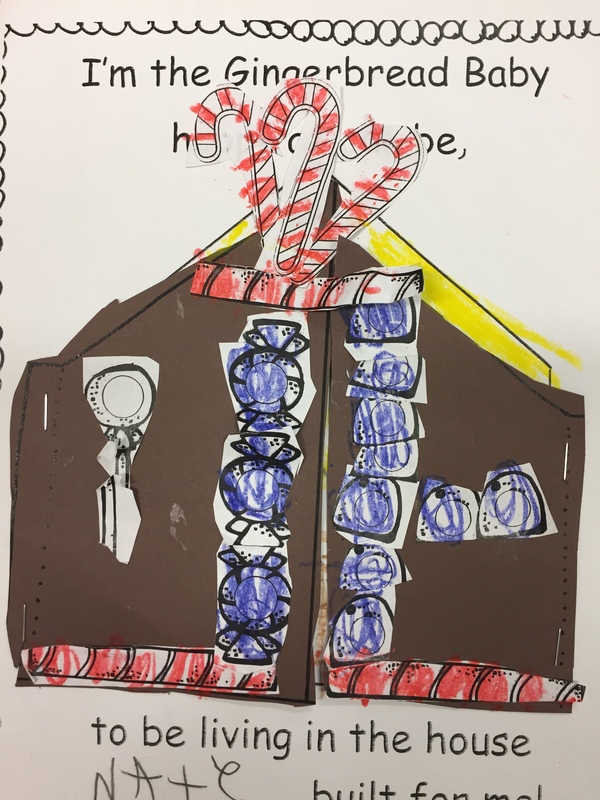 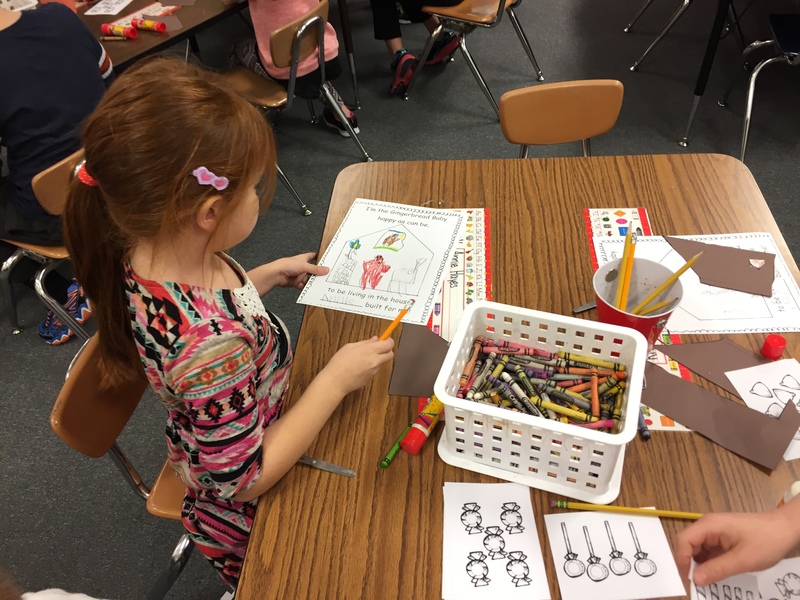 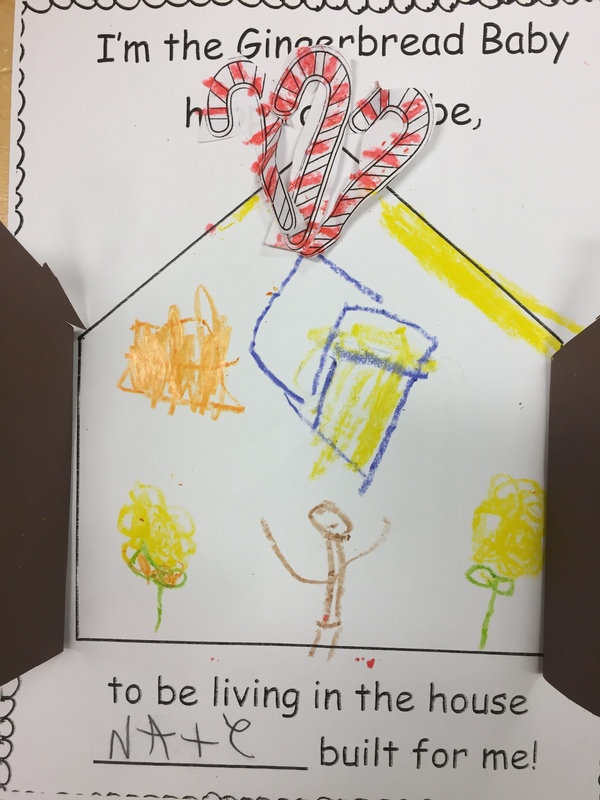 Finally students illustrated what they learned by coloring half of a house during the day, and half of a house during the night. 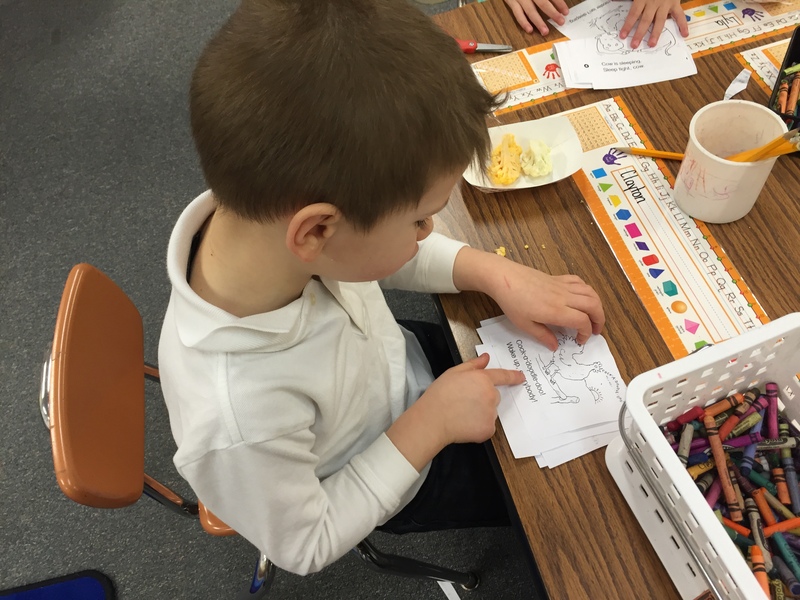 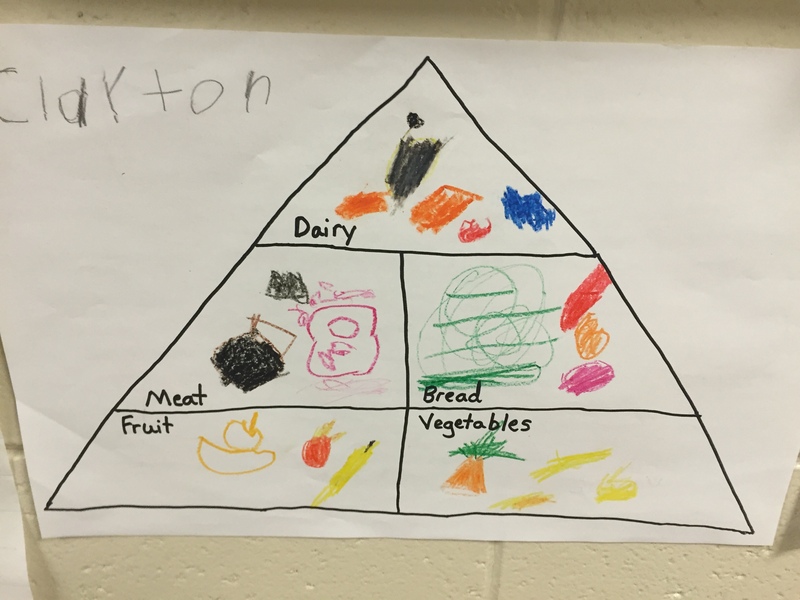 This last week we began our study on Nutrition. 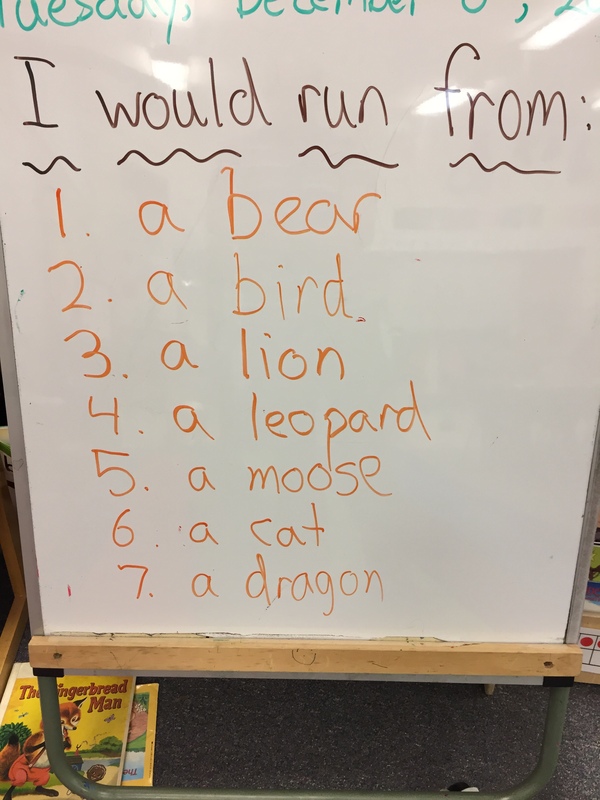 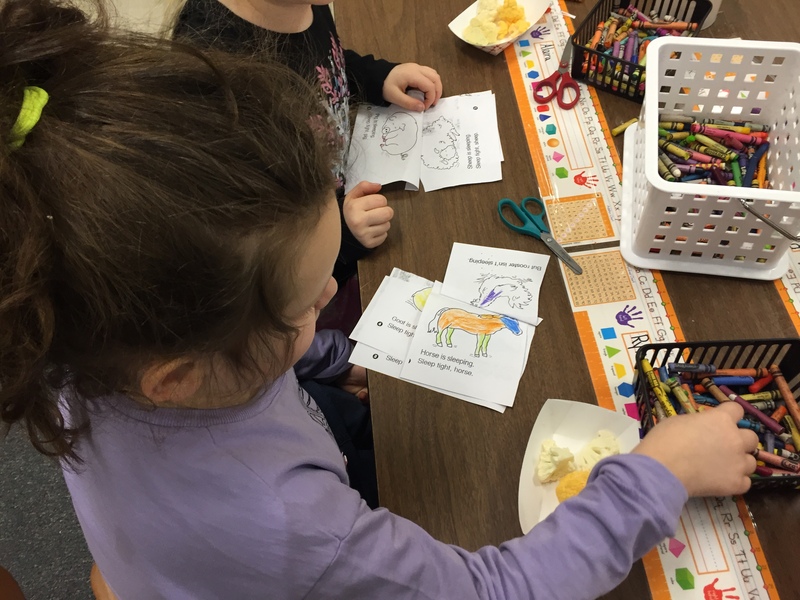 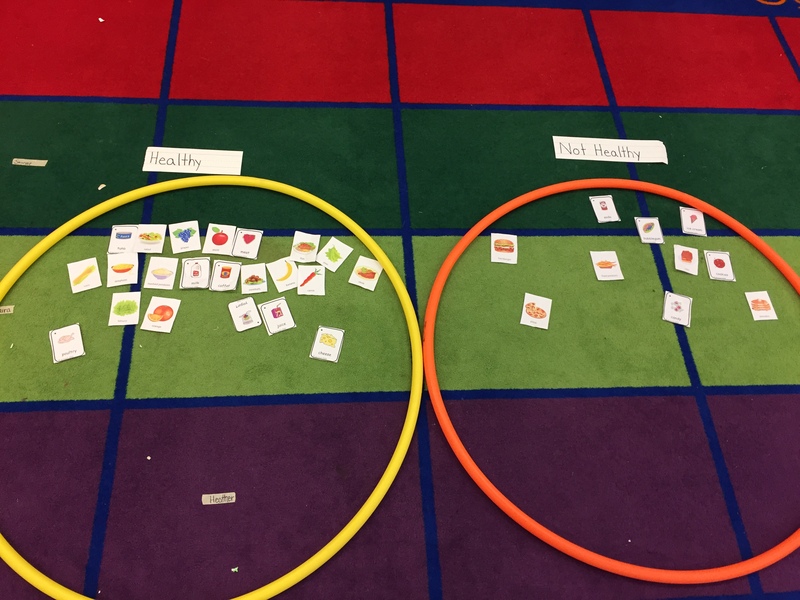 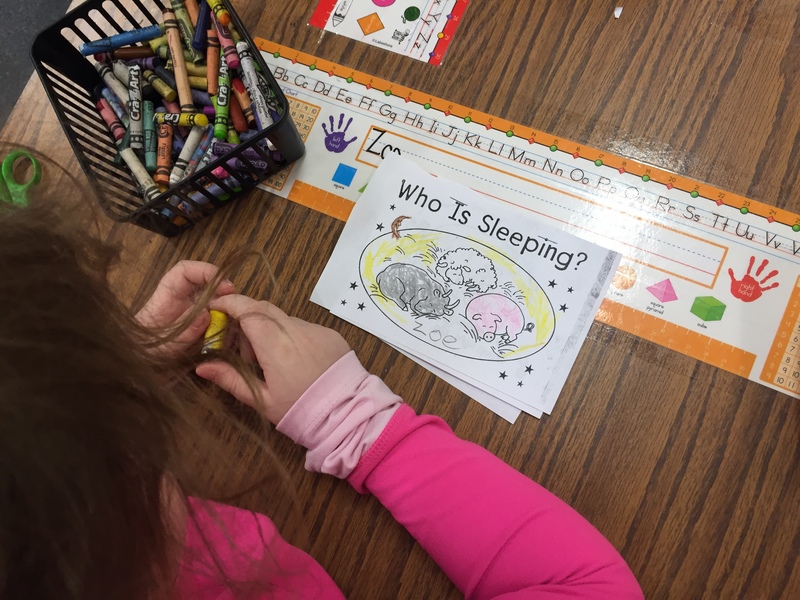 First we read “Gregory the Terrible Eater” and “The Very Hungry Caterpillar” and then we talked about foods that were healthy and not healthy foods, and sorted them according to those categories. 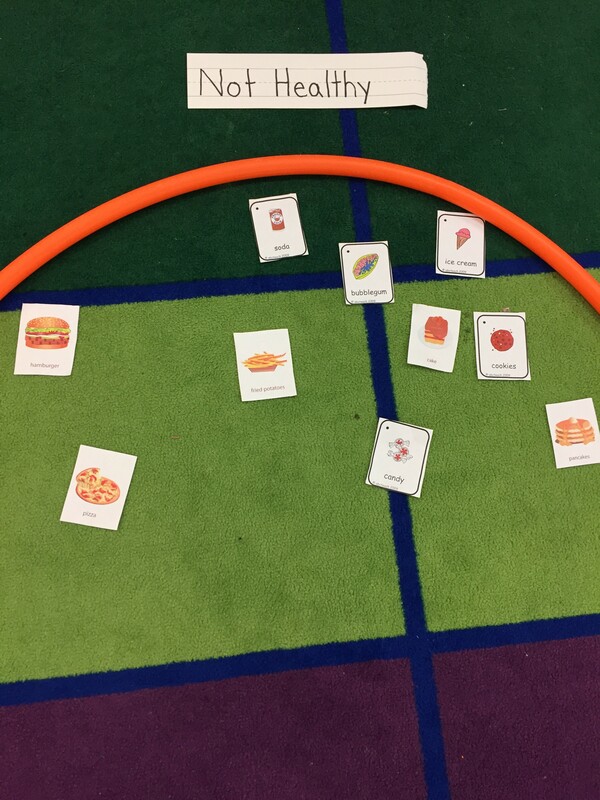 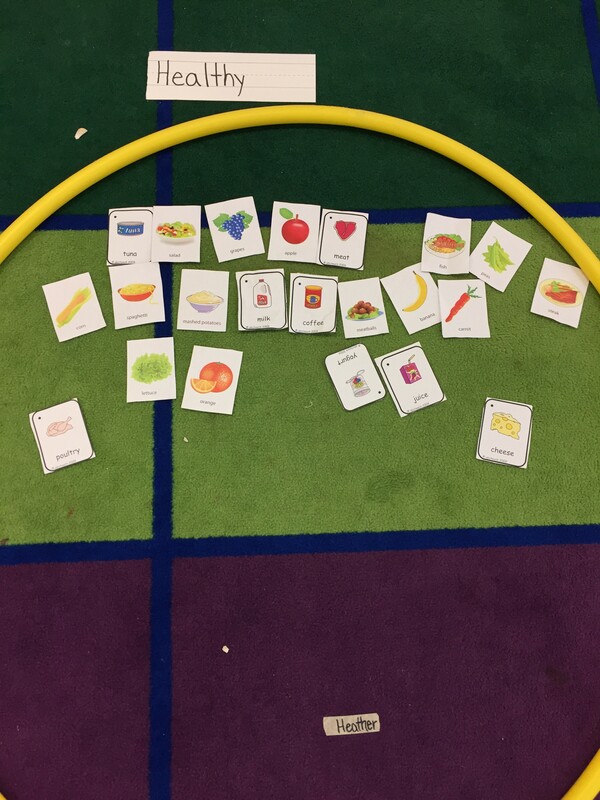 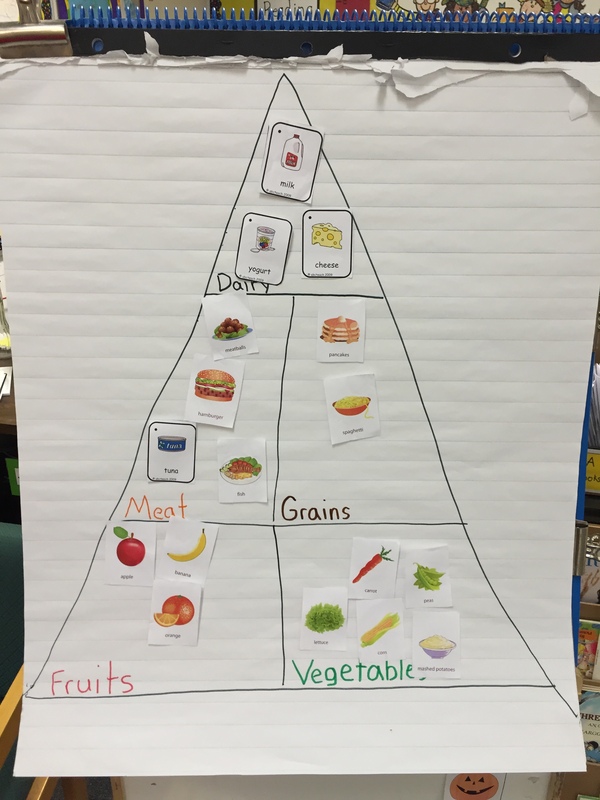 Then we use the food cards to create a class food pyramids and sorted them into their food groups. 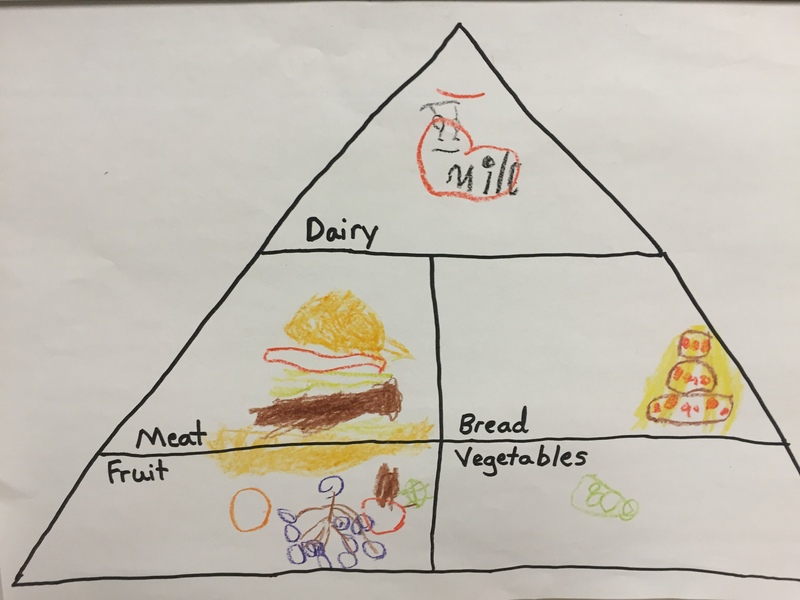 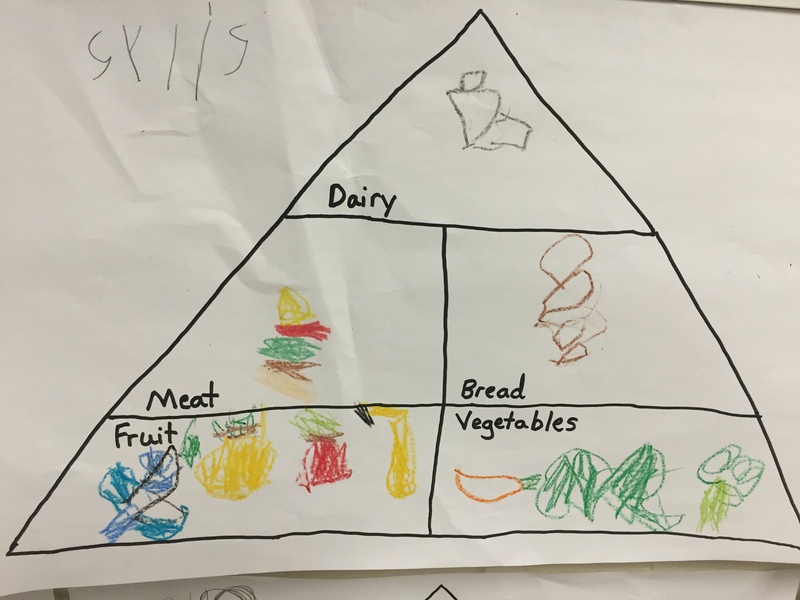 Then students drew their own foods and created their own food pyramids. 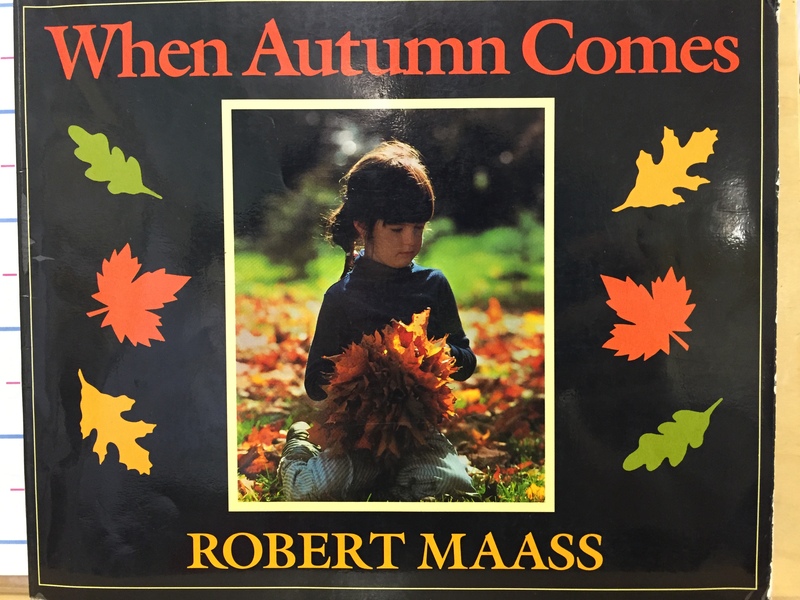 As the first official day of fall is around the corner we start our unit on autumn with the story “When Autumn Comes”. 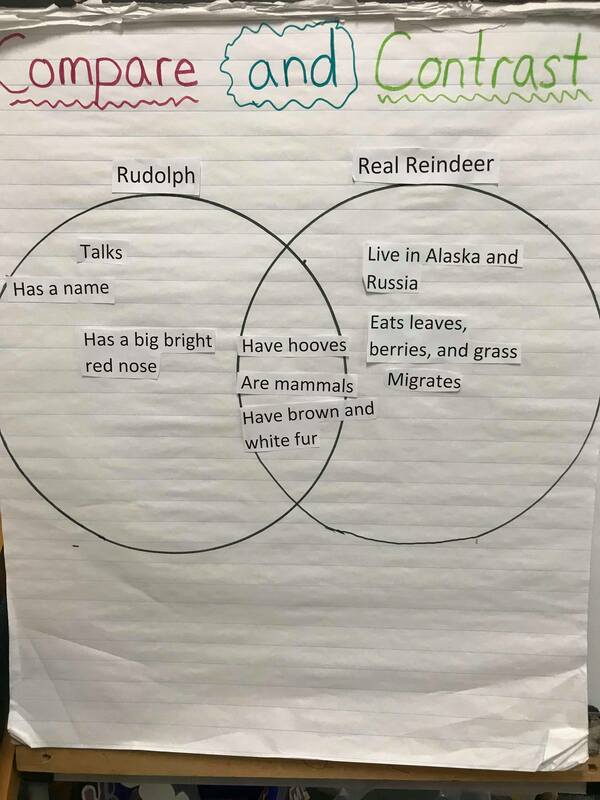 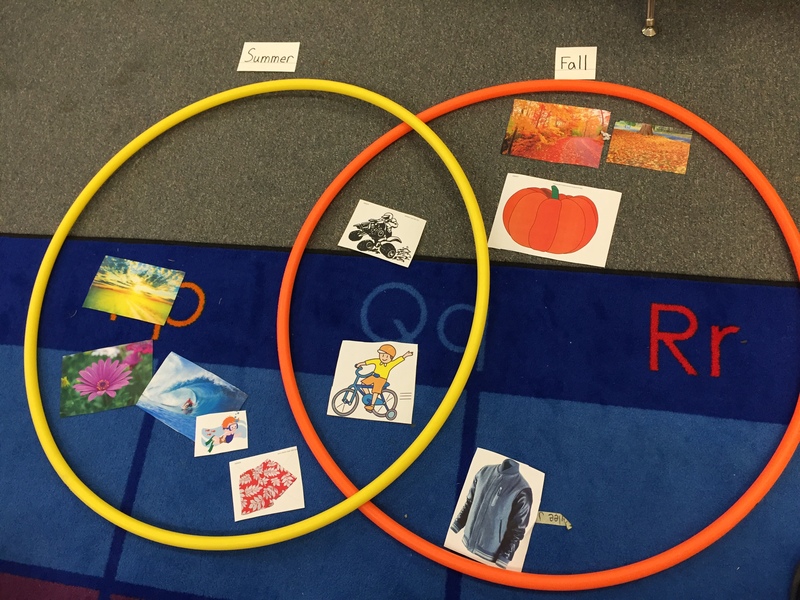 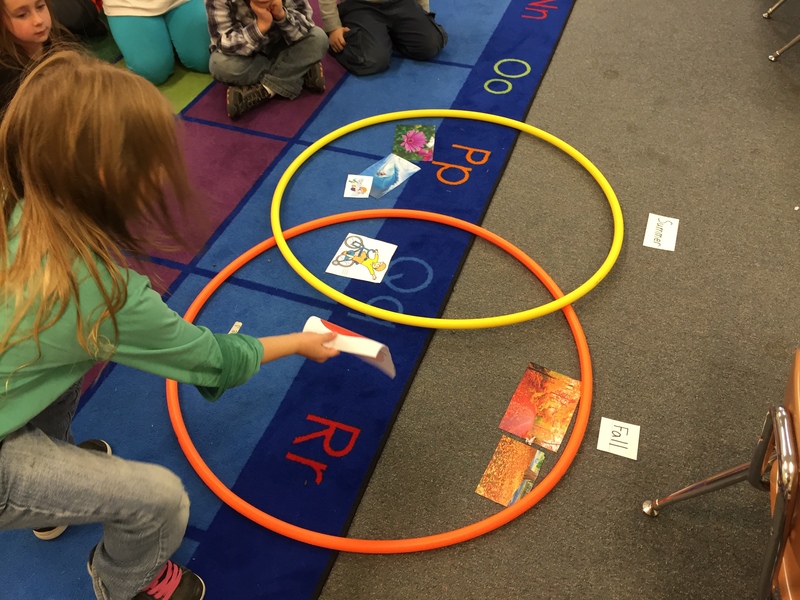 We talked about what we learned about fall by creating a hoola-hoop Venn diagram that compared and contrasted fall and summer. 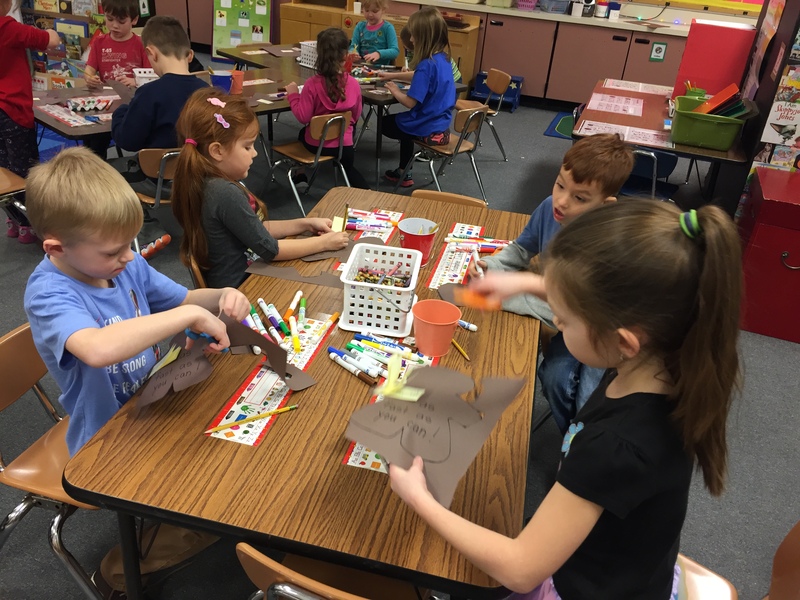 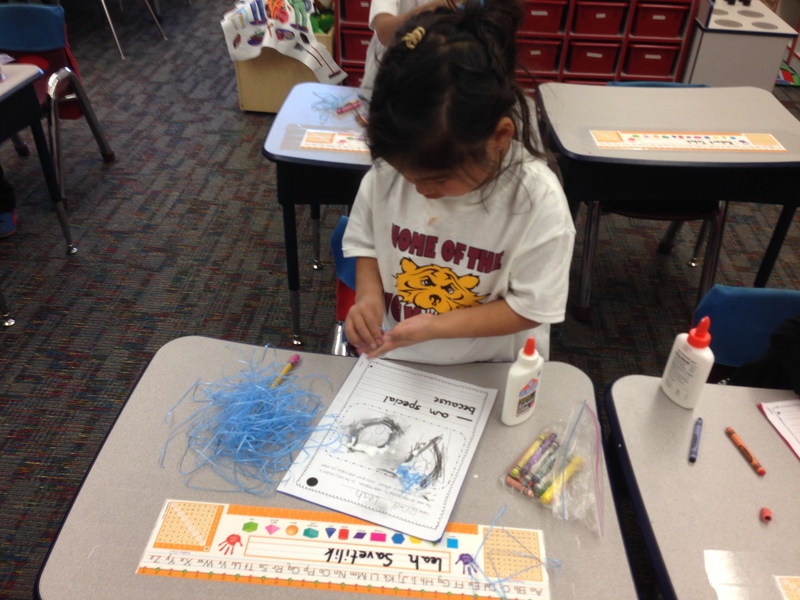 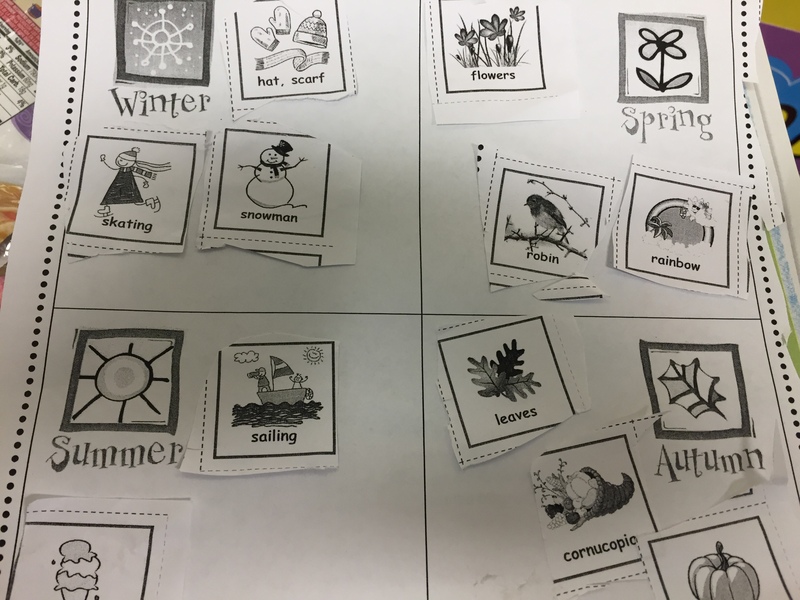 Then the class sorted pictures into winter, spring summer, or fall. 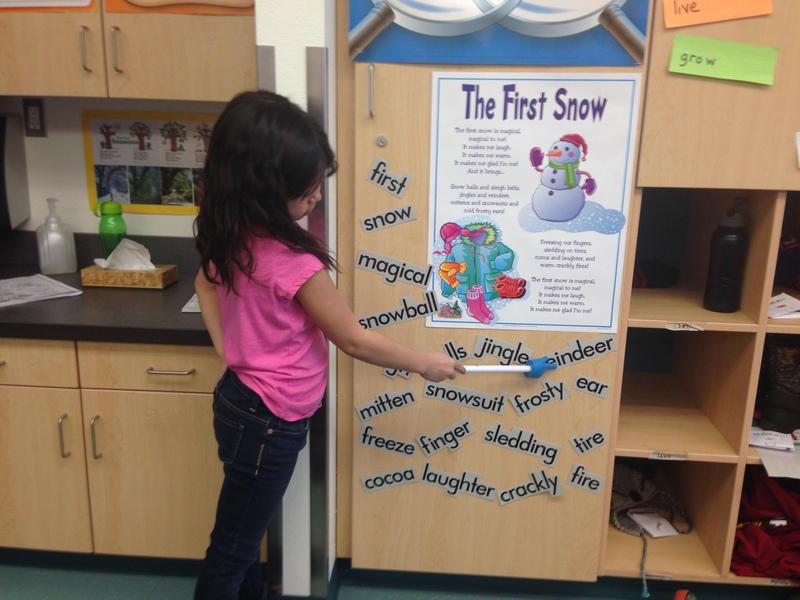 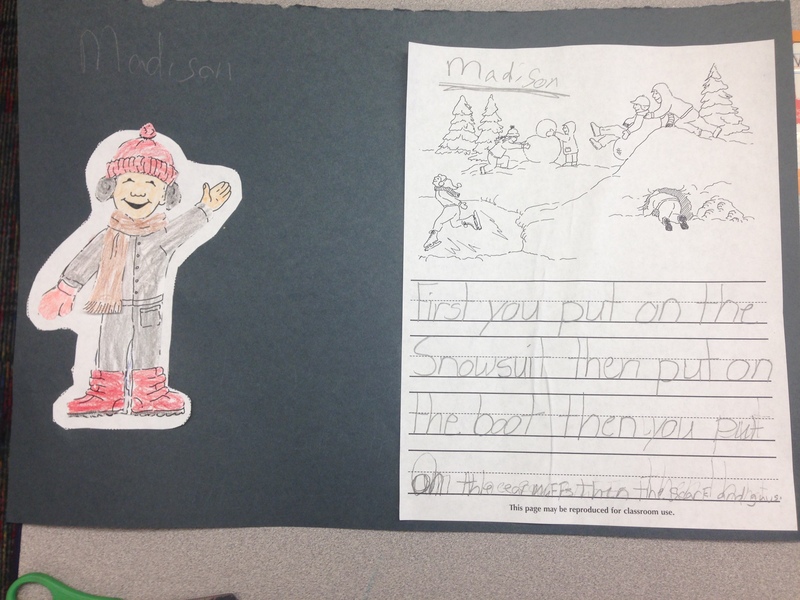 Continuing on with our Winter / The Four Seasons theme, we learned a new song / poem called The First Snow. 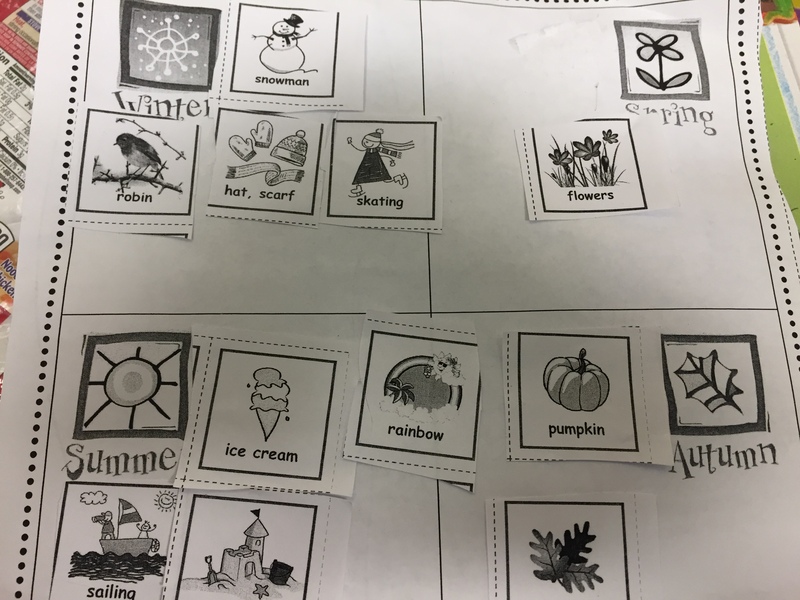 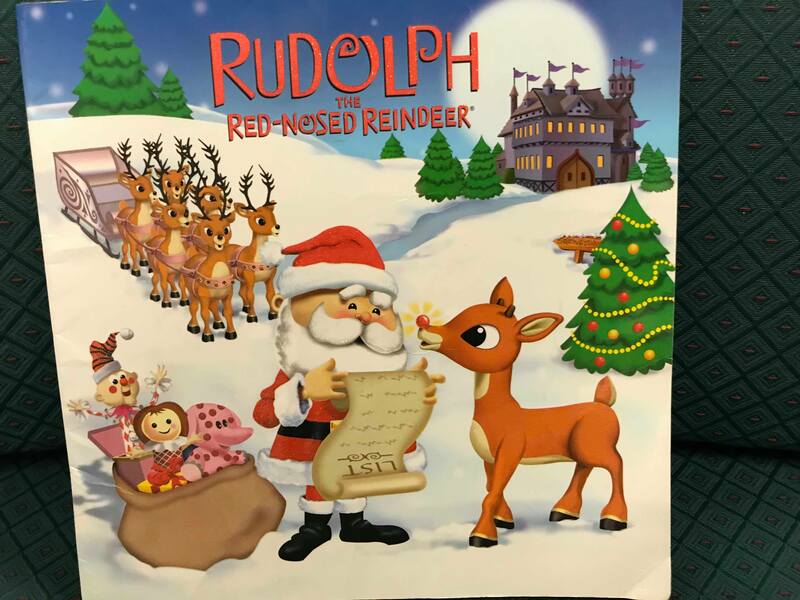 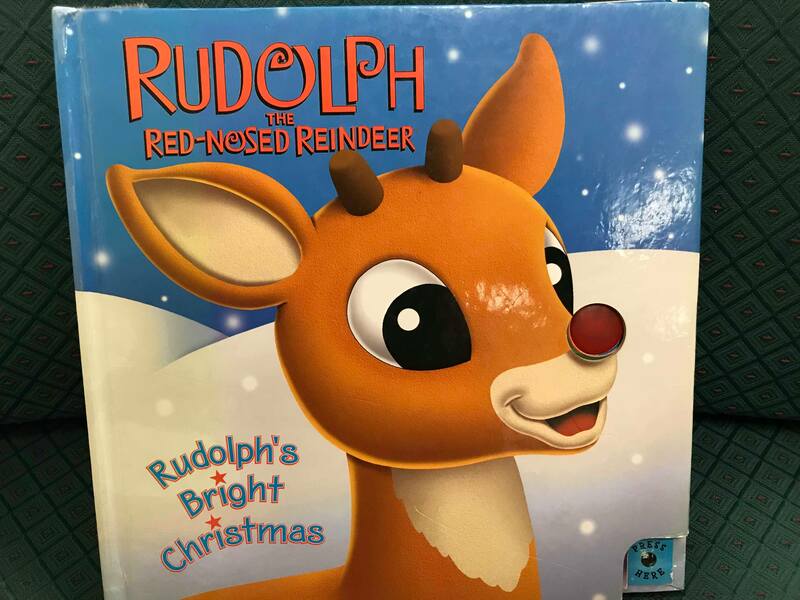 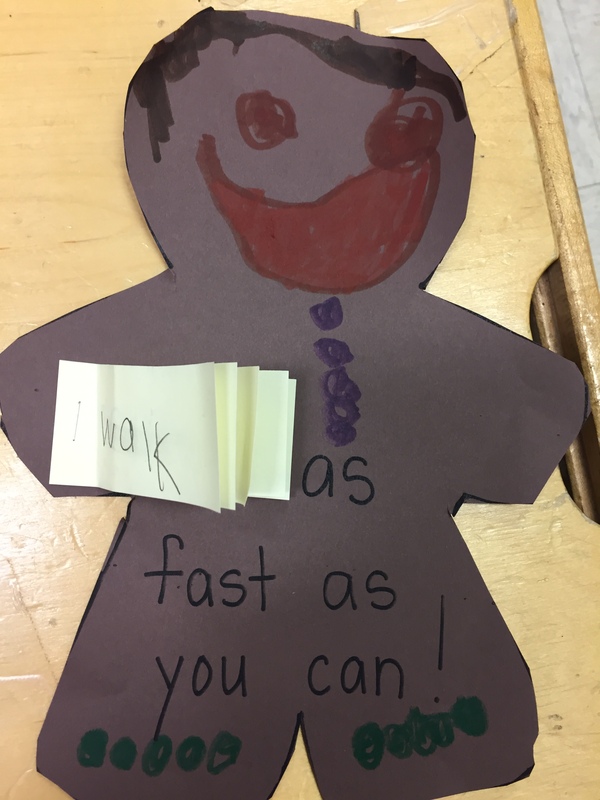 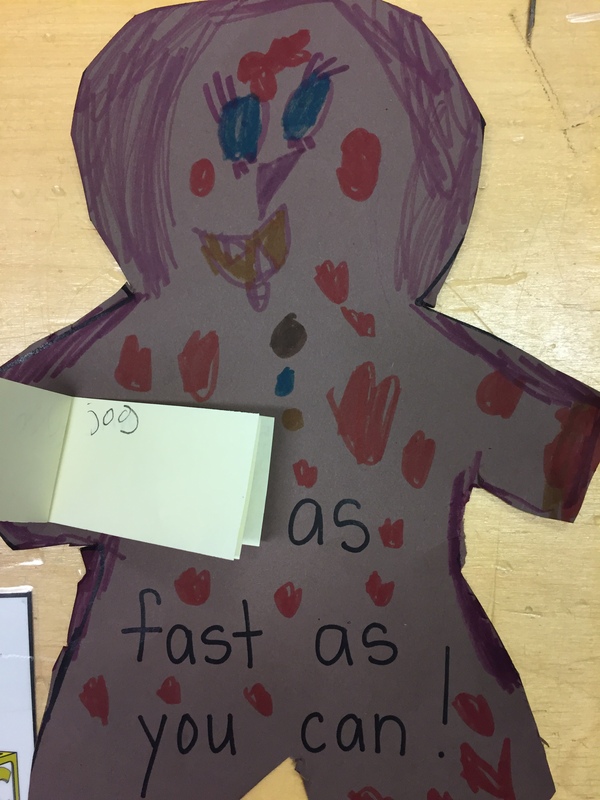 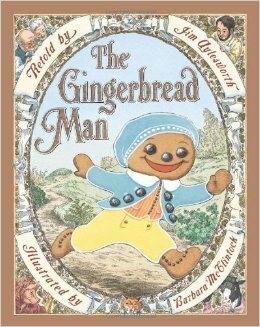 We learned new winter vocabulary and practiced memorizing the words as we sang along to the song on CD. 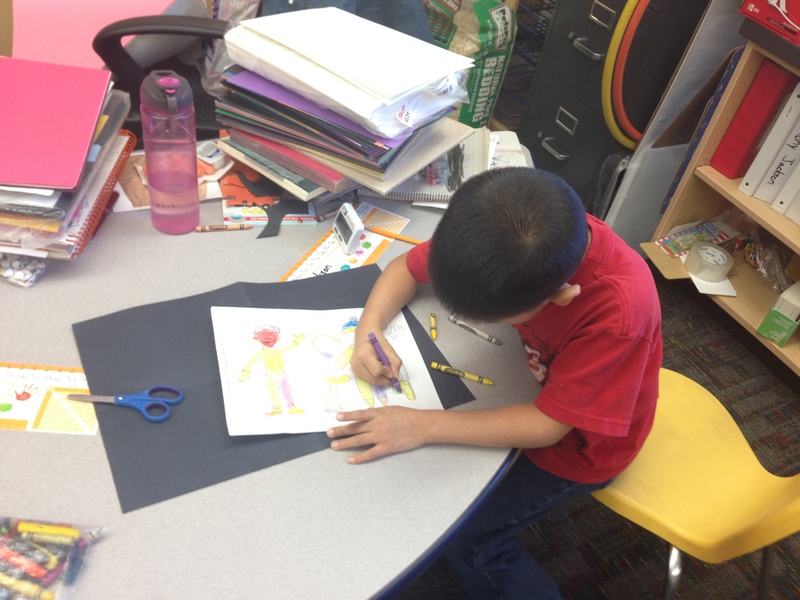 Afterwards we cutout a picture of the boy from the song and helped him get dressed to go play outside. 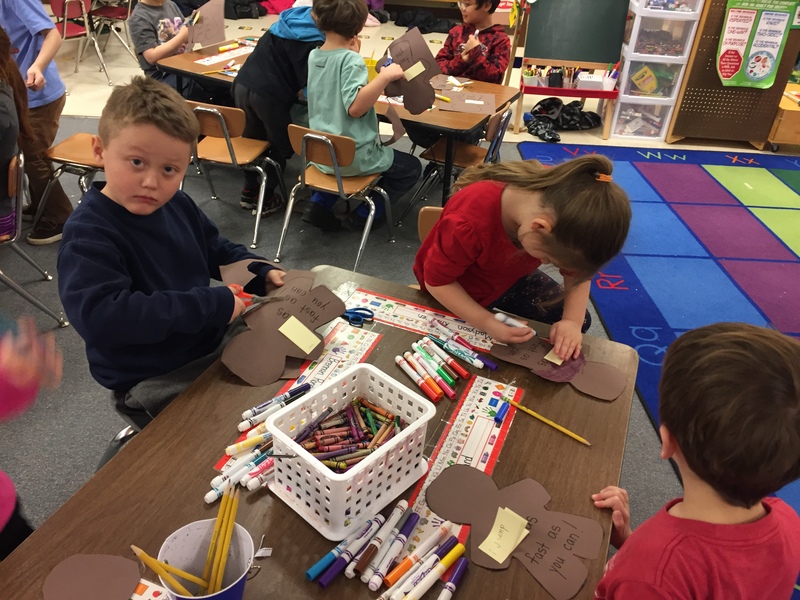 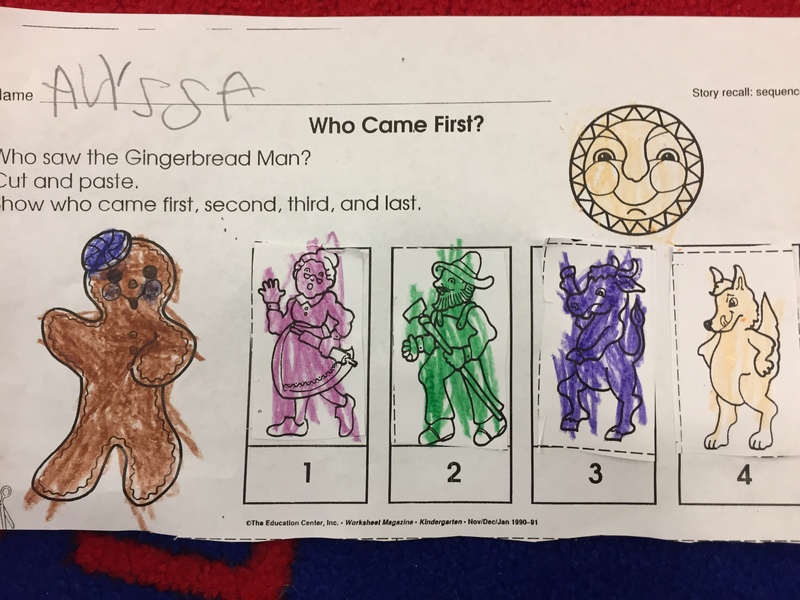 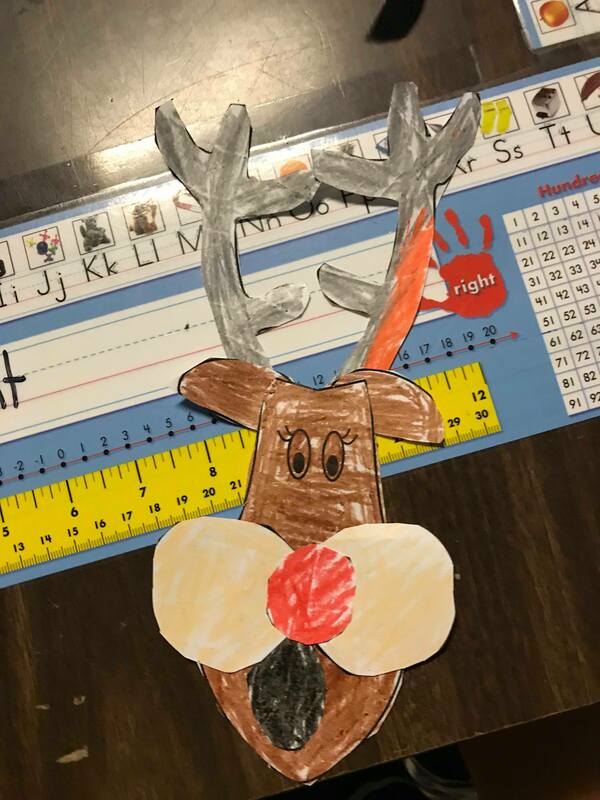 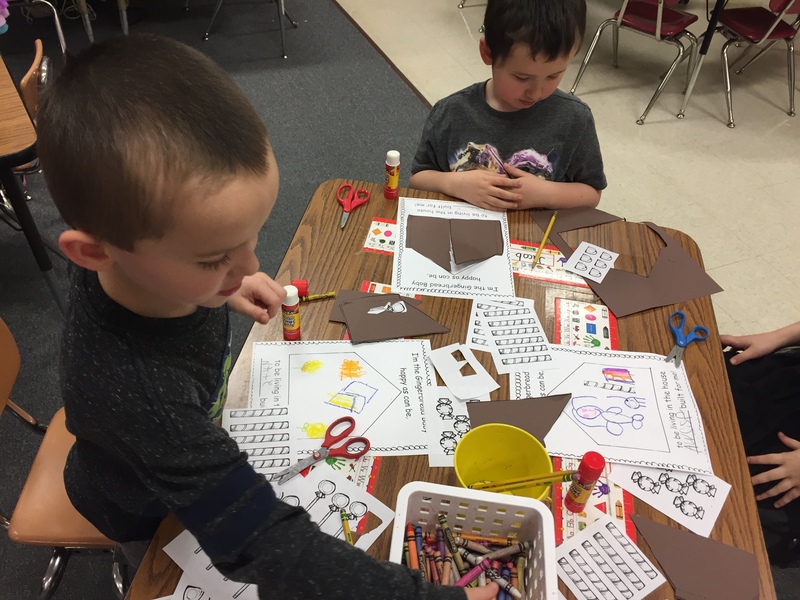 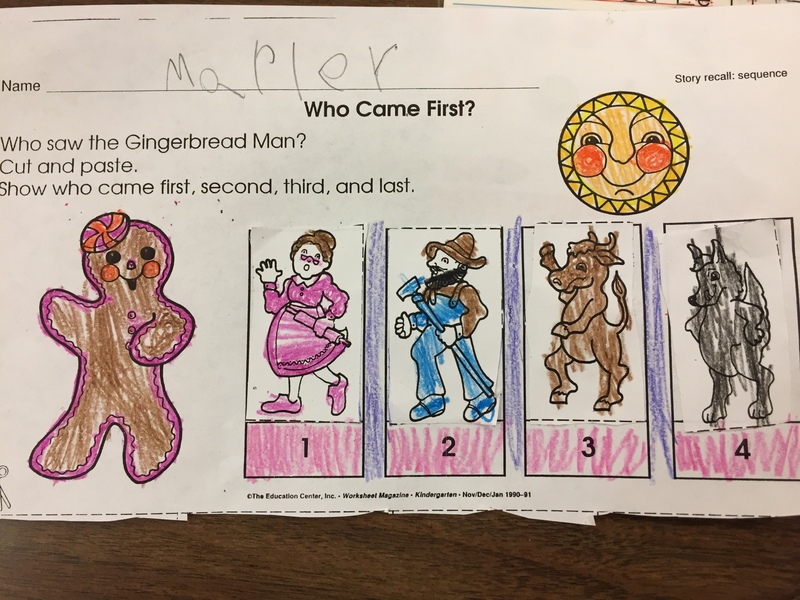 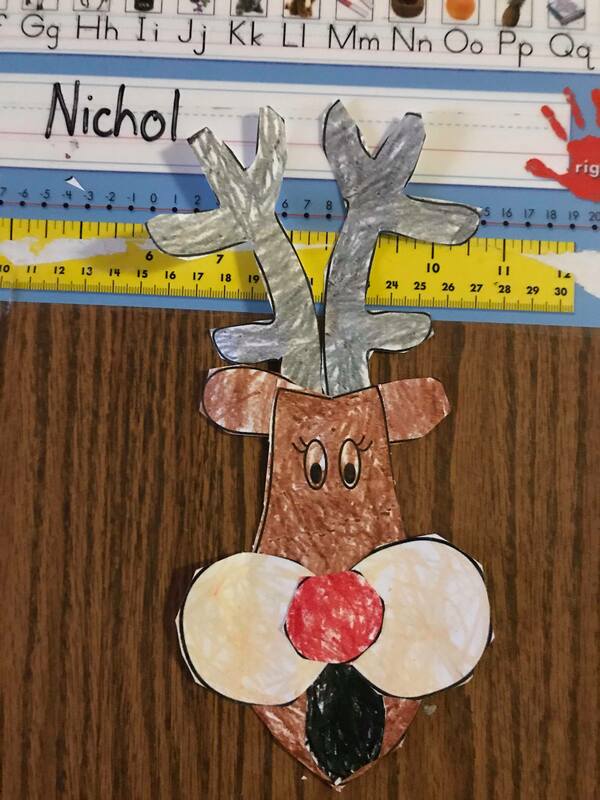 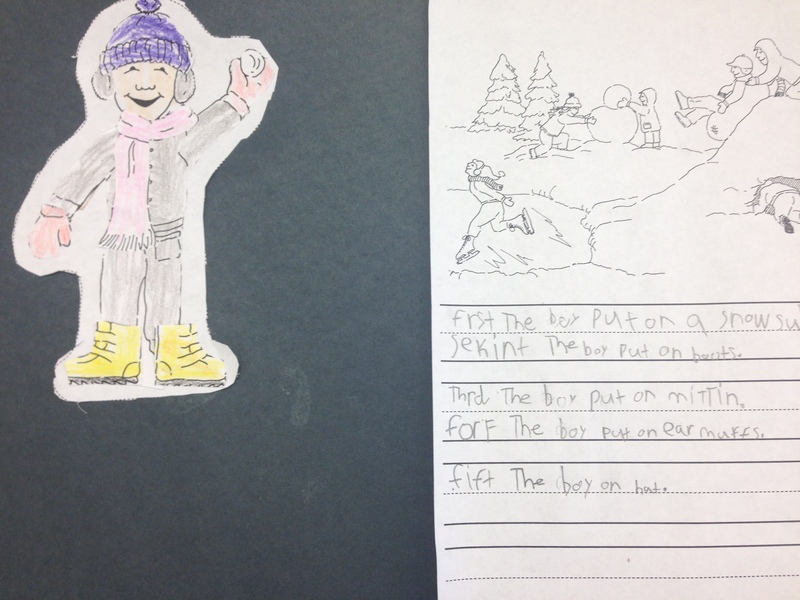 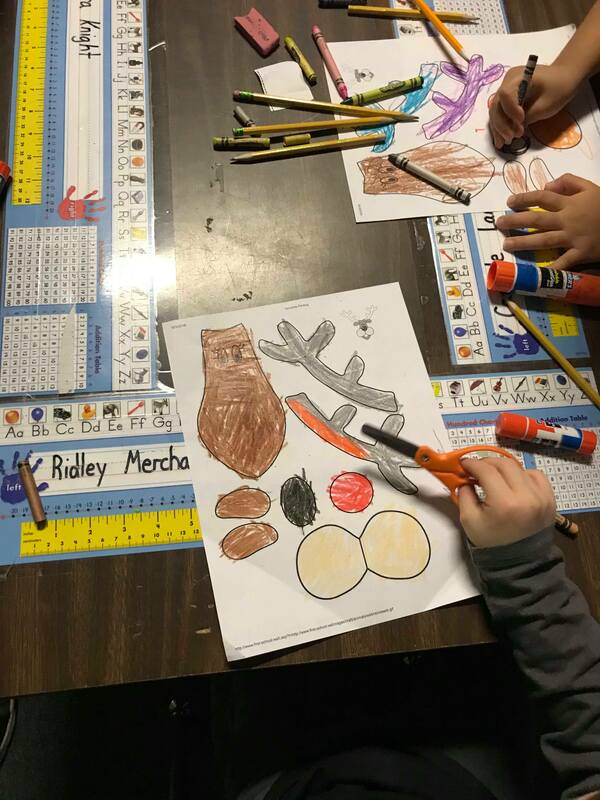 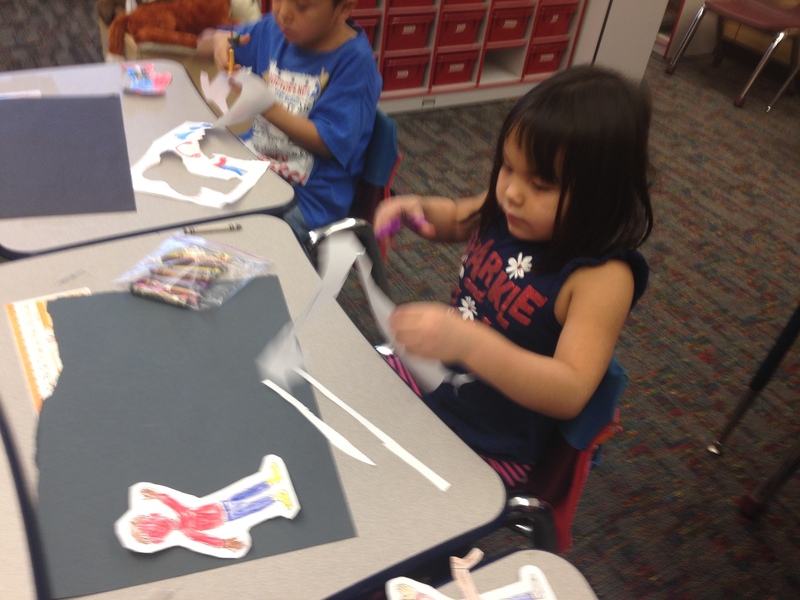 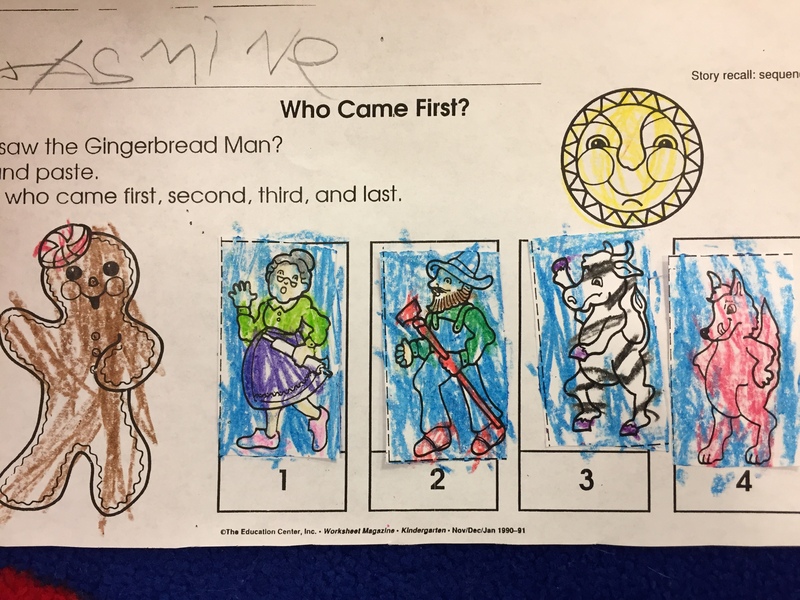 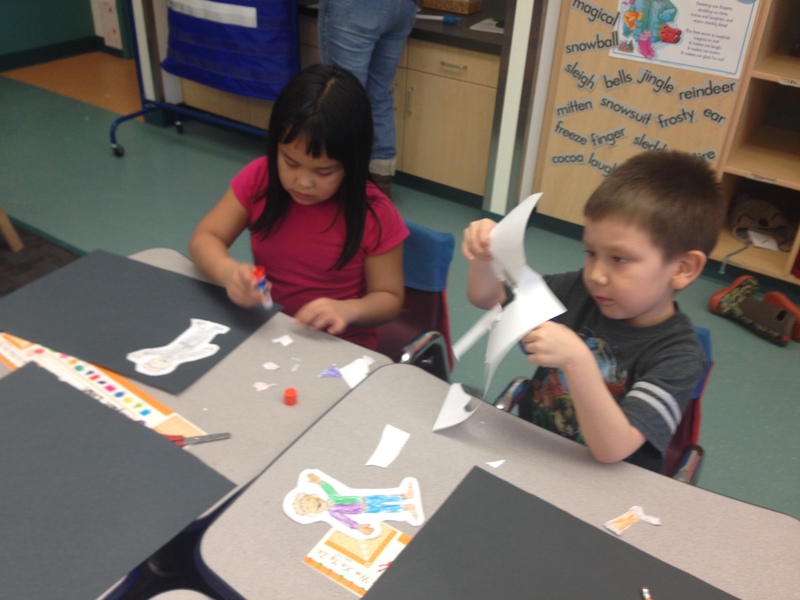 We colored and cutout the different winter clothes and discussed the correct sequence the boy would need to put them on. 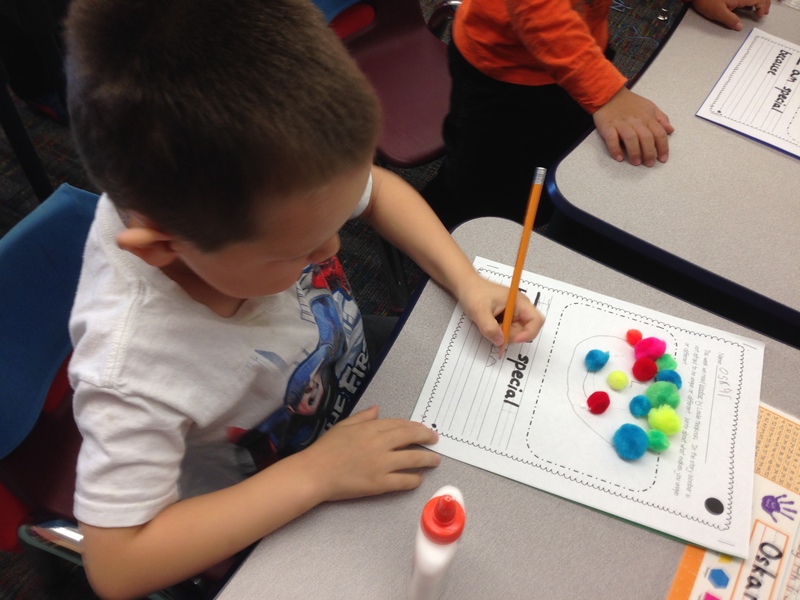 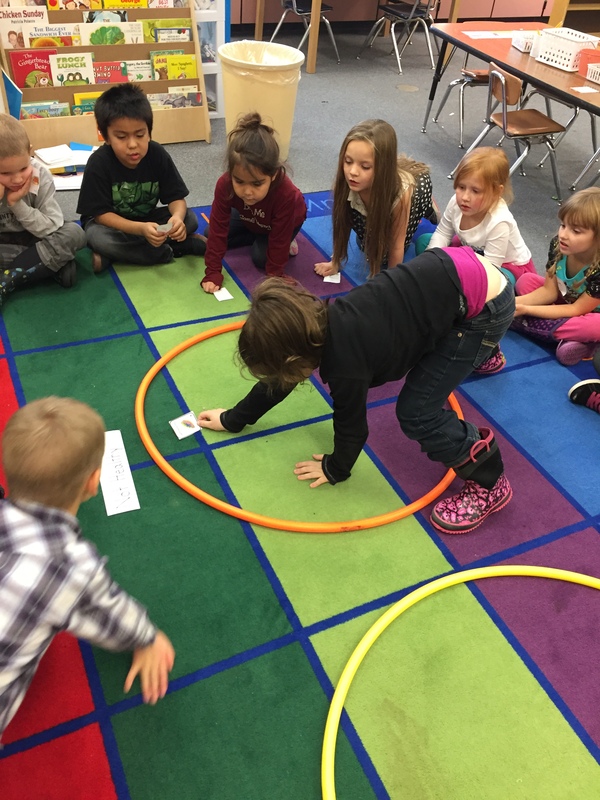 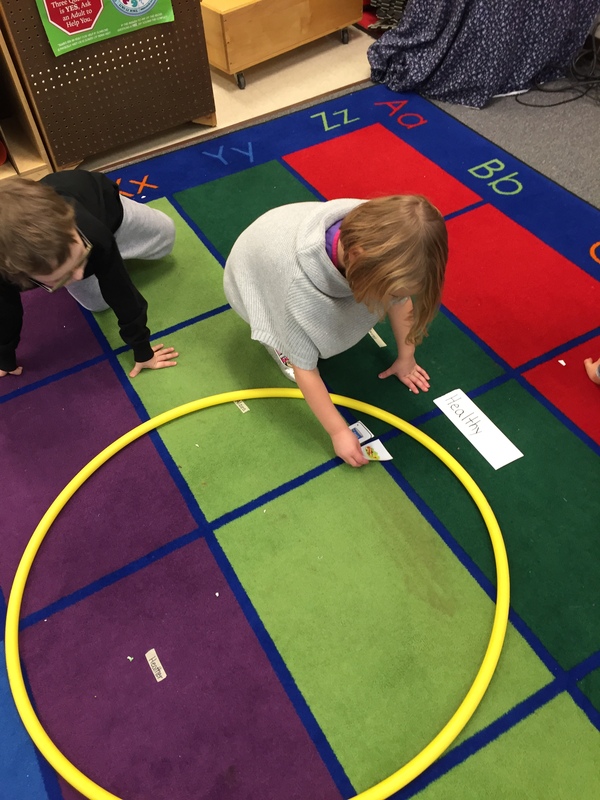 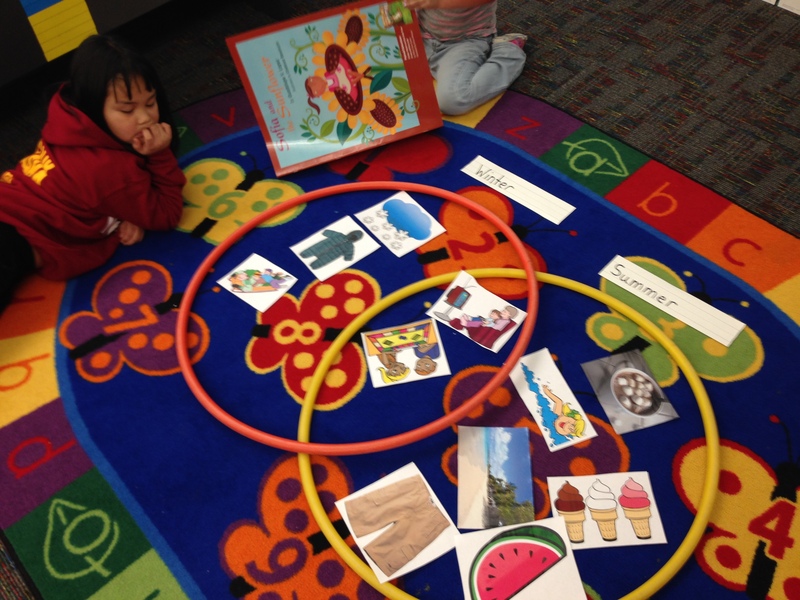 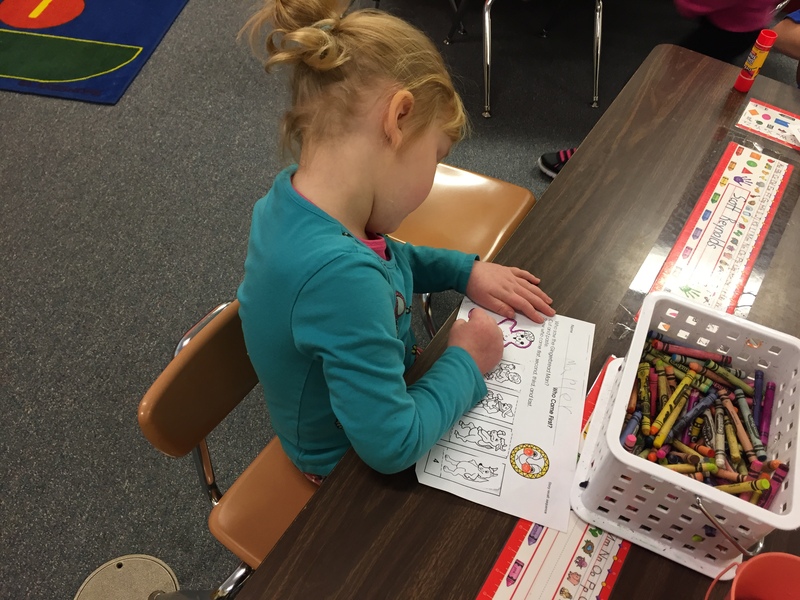 Finally we wrote directions for others on how to get dressed for winter, and during centers students could create Venn Diagram to compare and contrast winter to summer! 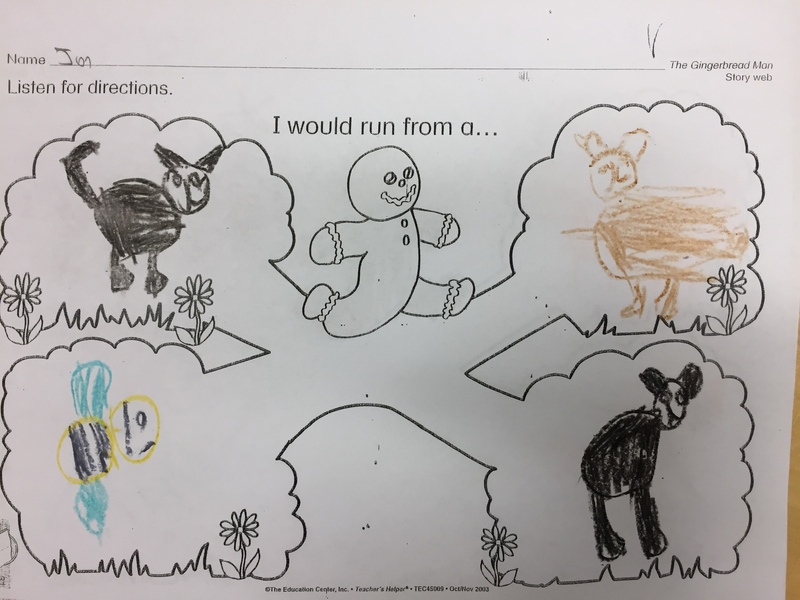 We have continued our theme on farms and animals on the farm. 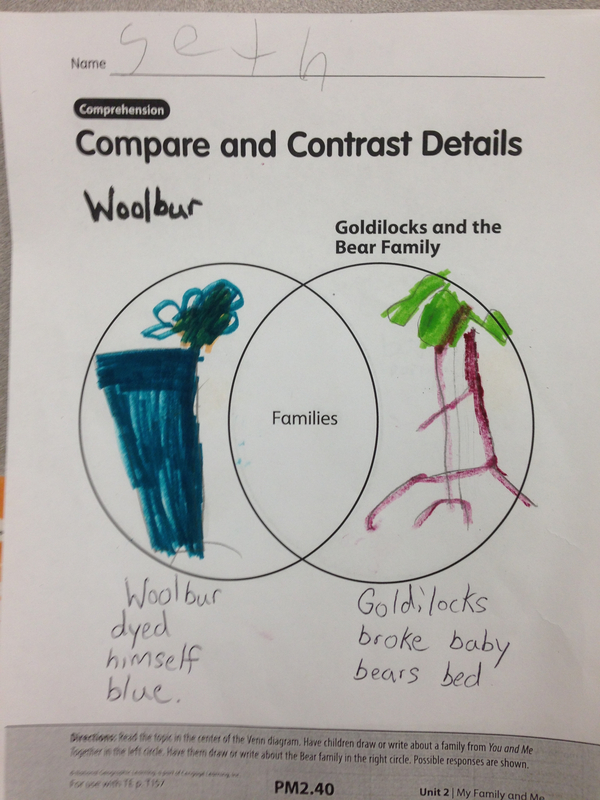 The students that we can get more than just food from farms but we can also get wool from sheep to make clothes. 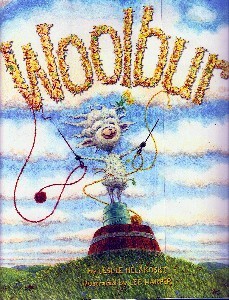 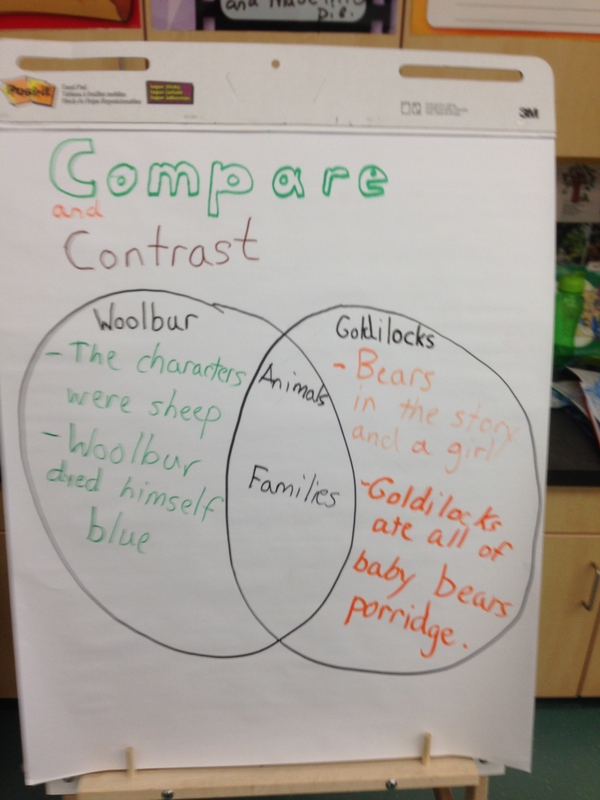 Then for read aloud time we read story Woolbur. 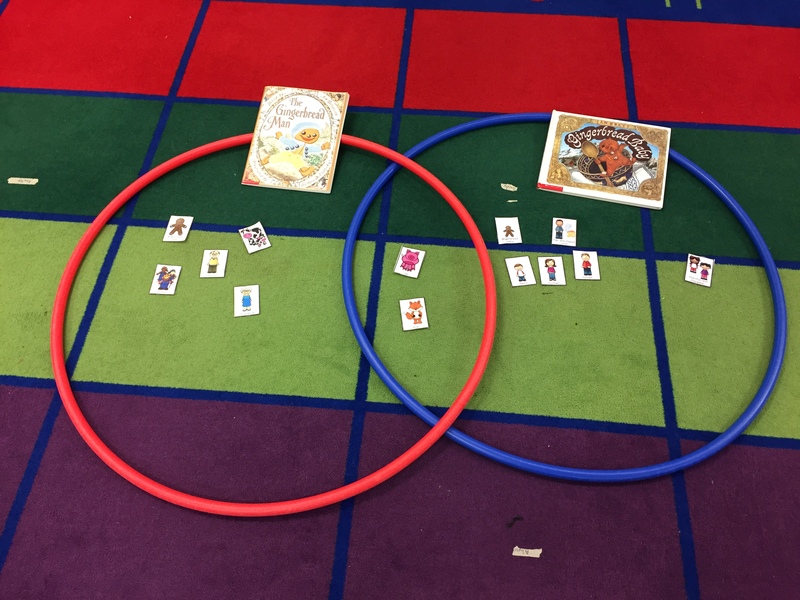 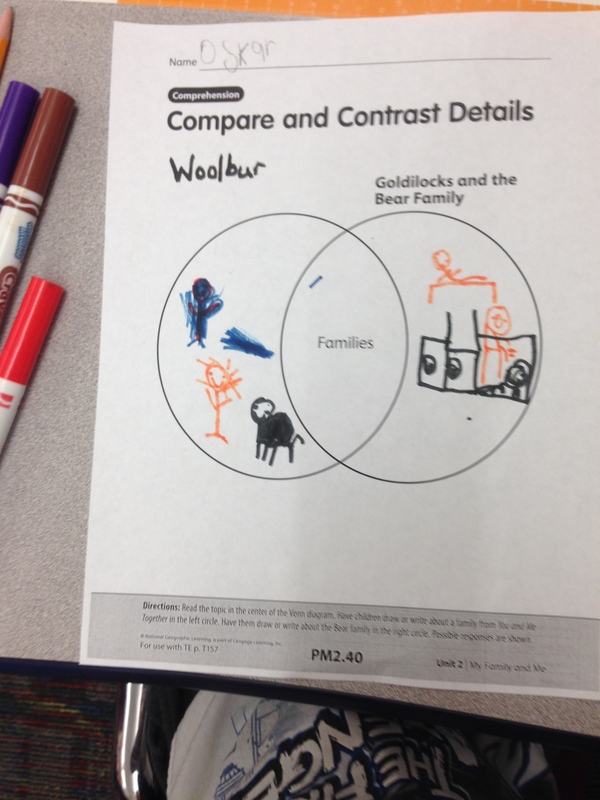 We created a Venn Diagram comparing the story to a previous story we read during our National Geographic Cengage Reading block time. 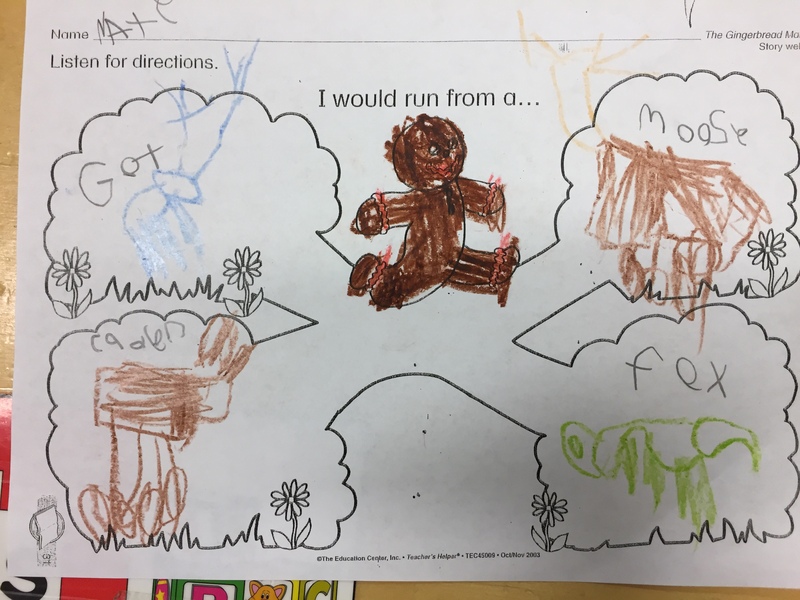 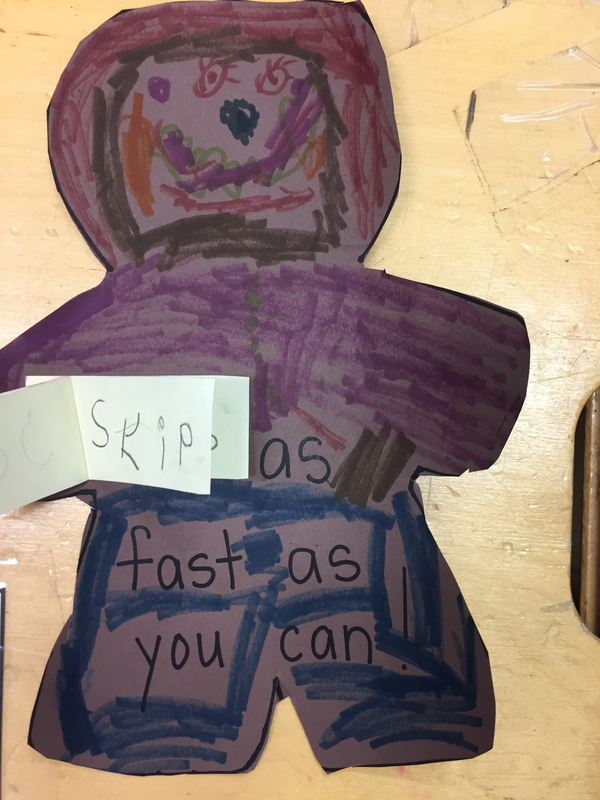 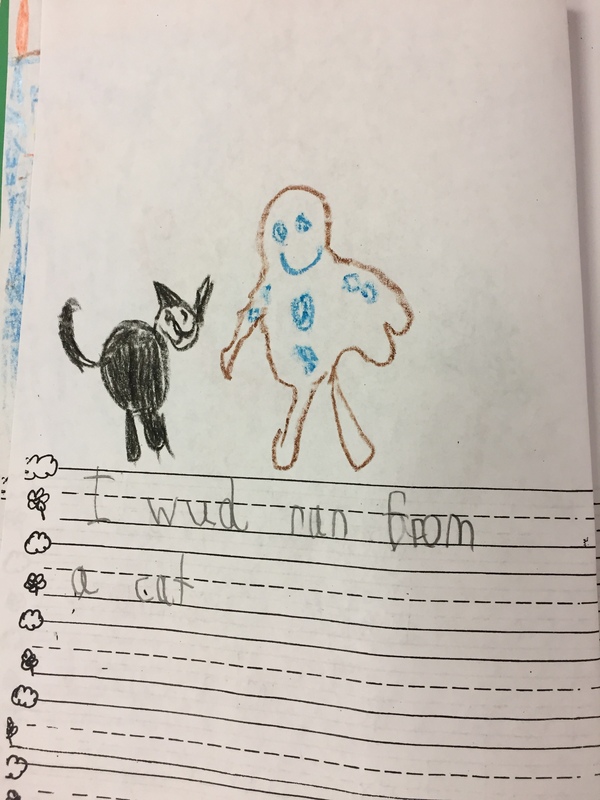 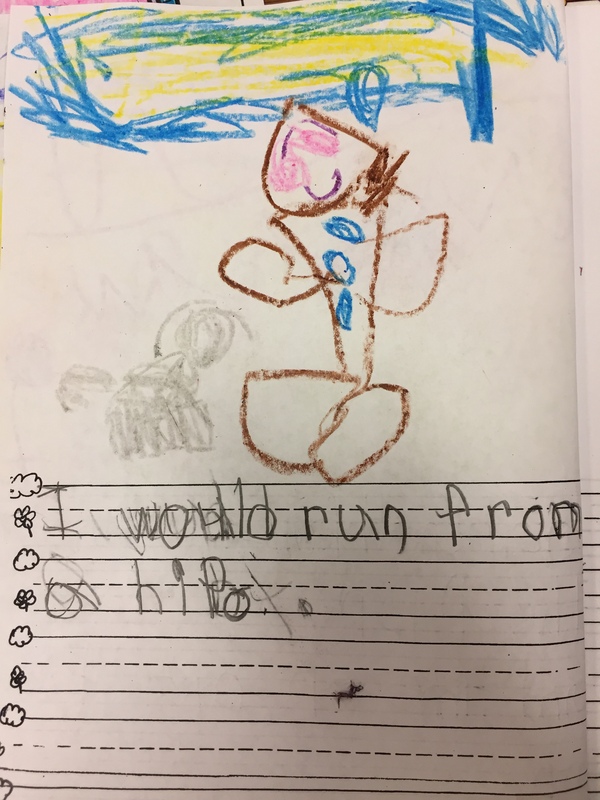 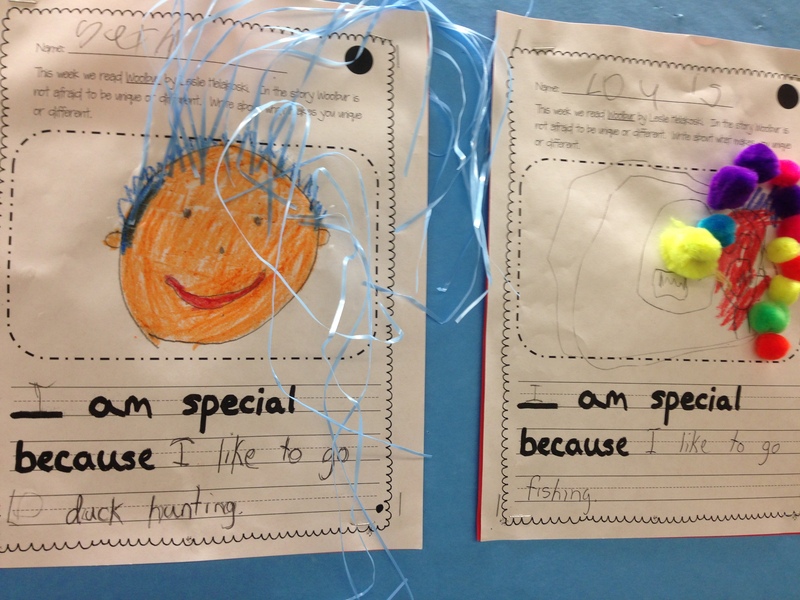 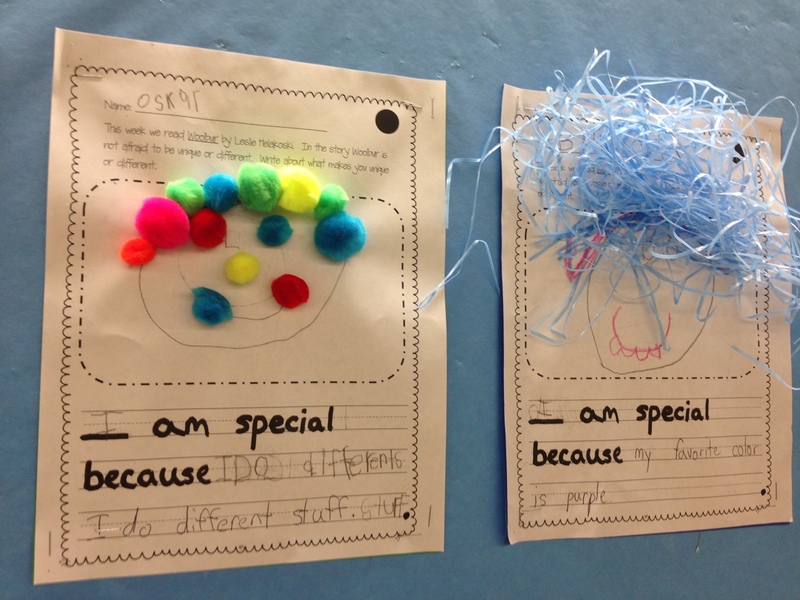 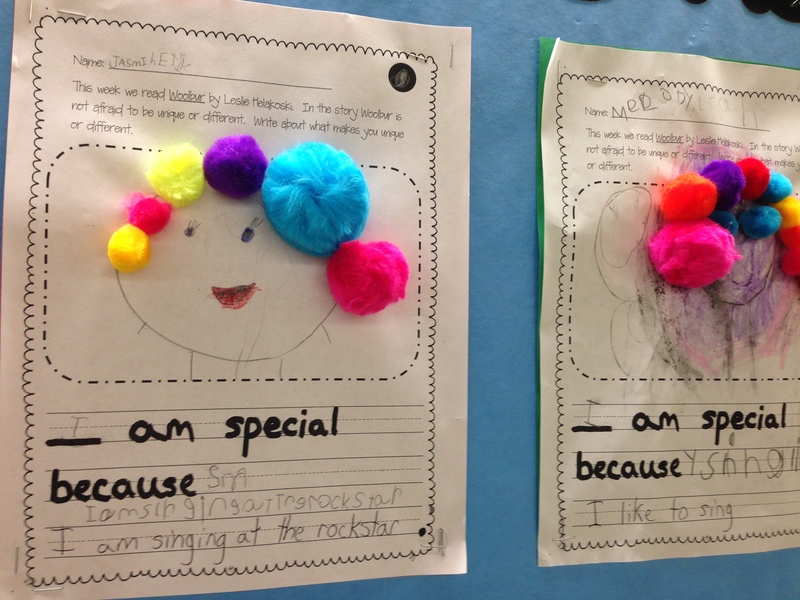 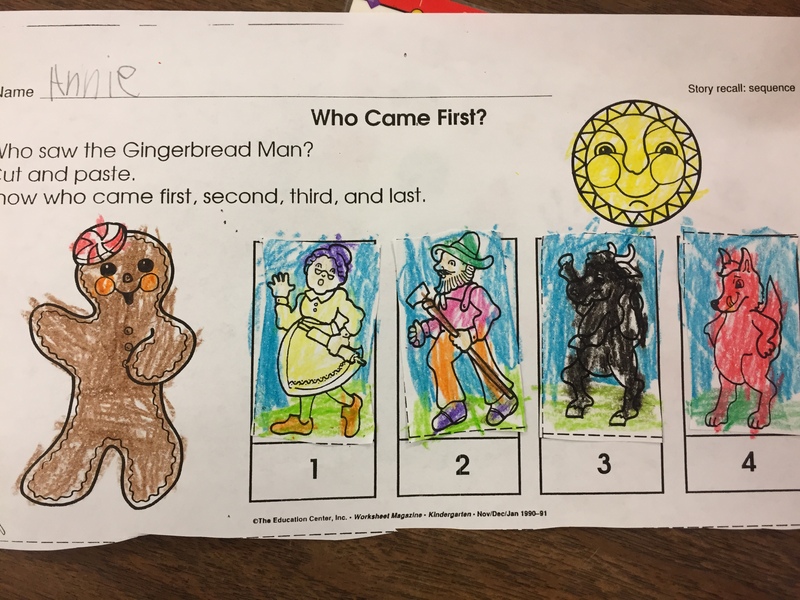 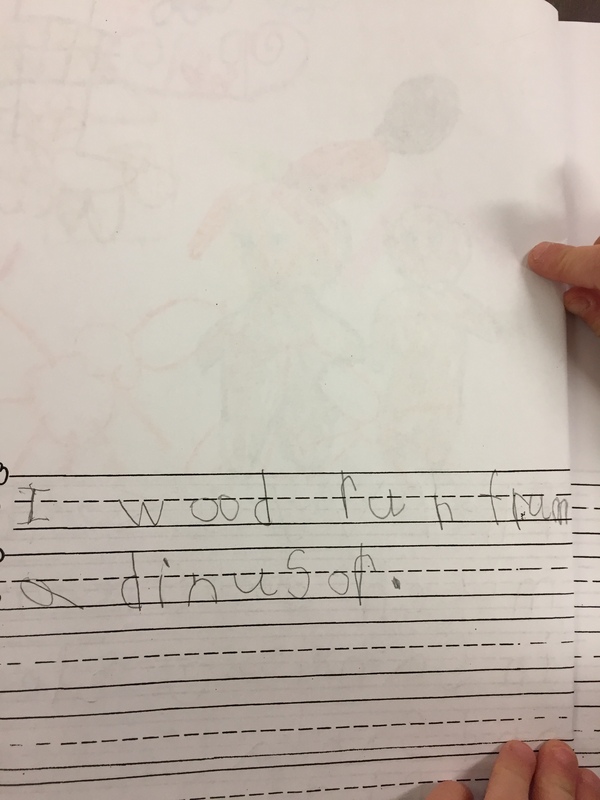 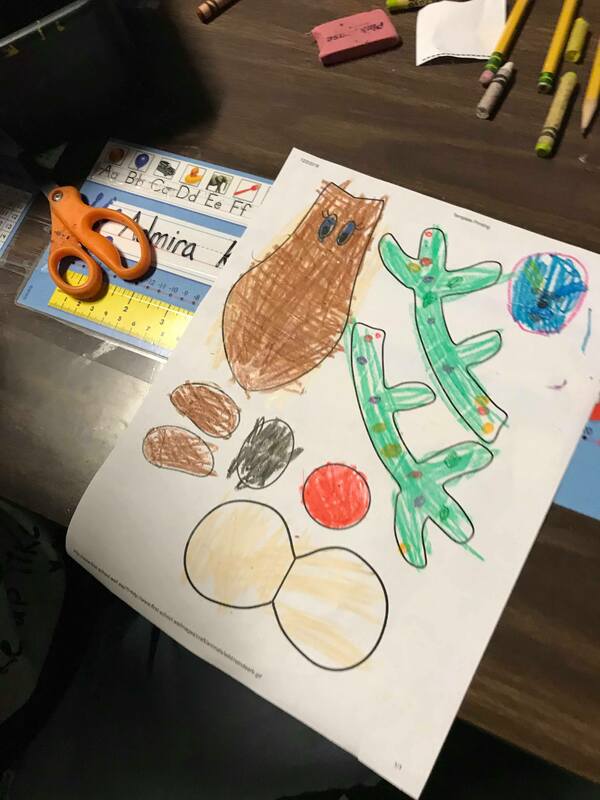 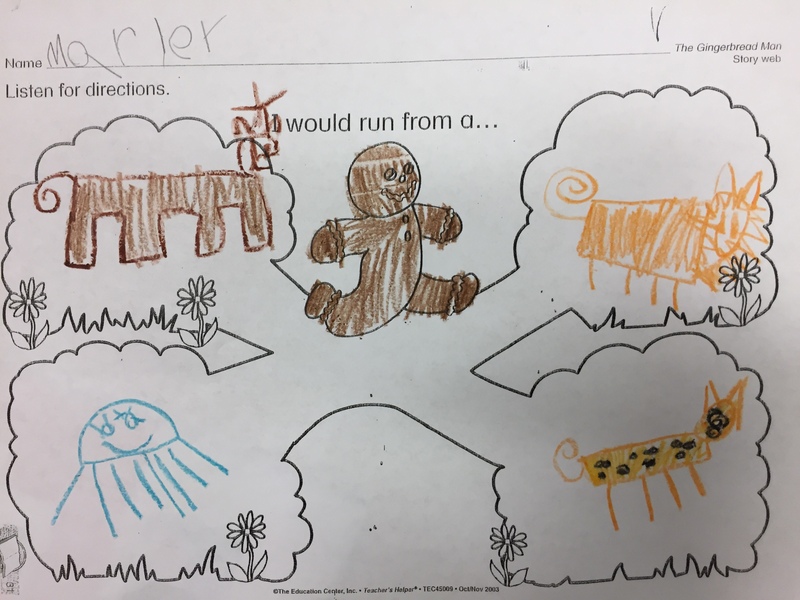 We wrote about what makes us special and unique and made an art project to make us colorful like Woolbur and his friends. 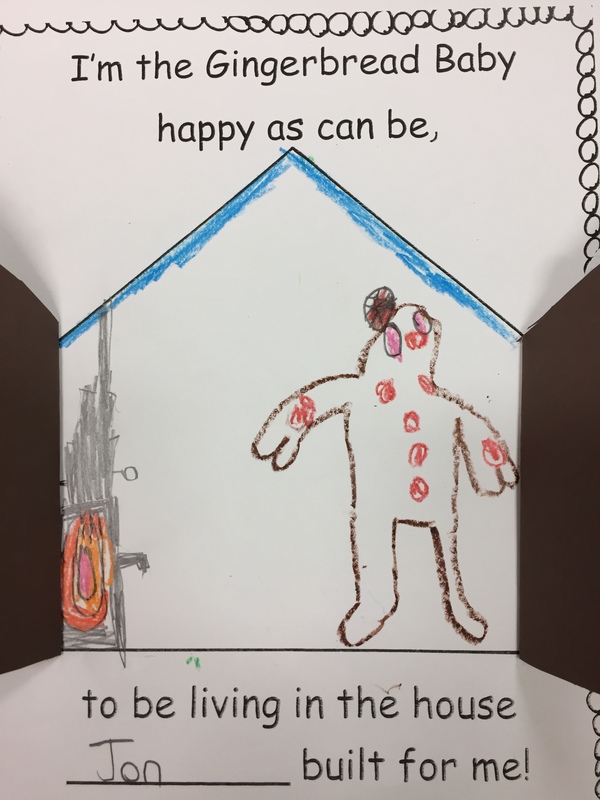 Students really enjoyed showing of their own unique creativity!